Enjoy the best inspirational, motivational, positive, funny and famous quotes by Alan Tower Waterman. Use words and picture quotations to push forward and inspire you keep going in life! 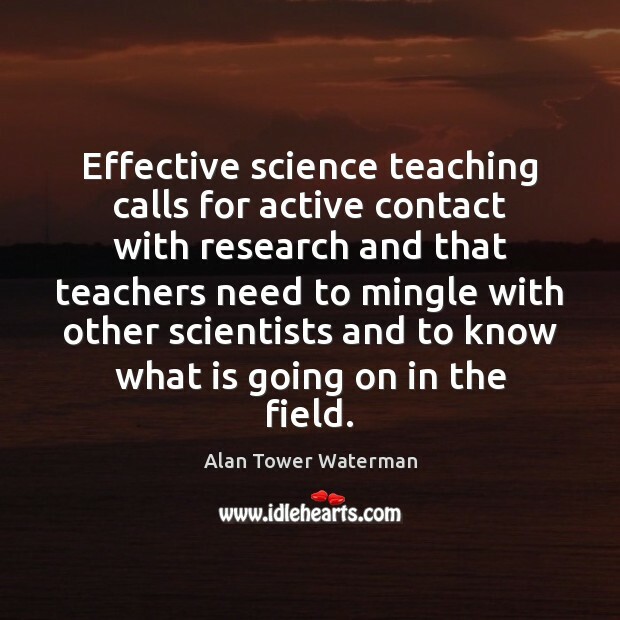 Effective science teaching calls for active contact with research and that teachers need to mingle with other scientists and to know what is going on in the field. 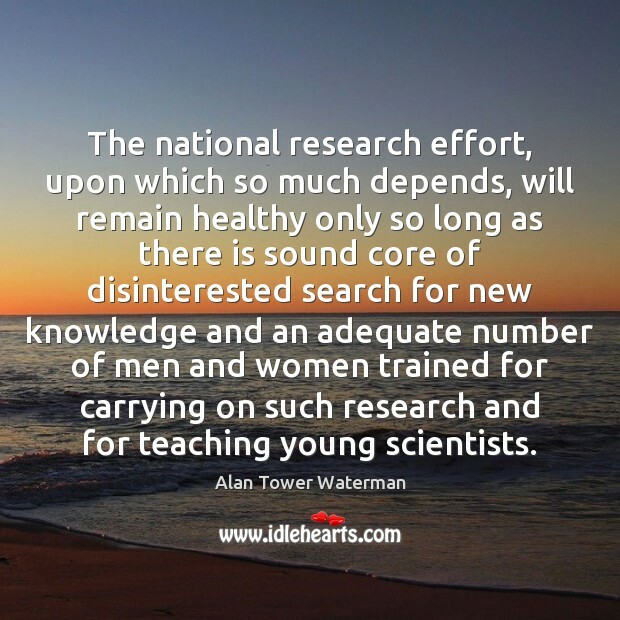 The national research effort, upon which so much depends, will remain healthy only so long as there is sound core of disinterested search for new knowledge and an adequate number of men and women trained for carrying on such research and for teaching young scientists. 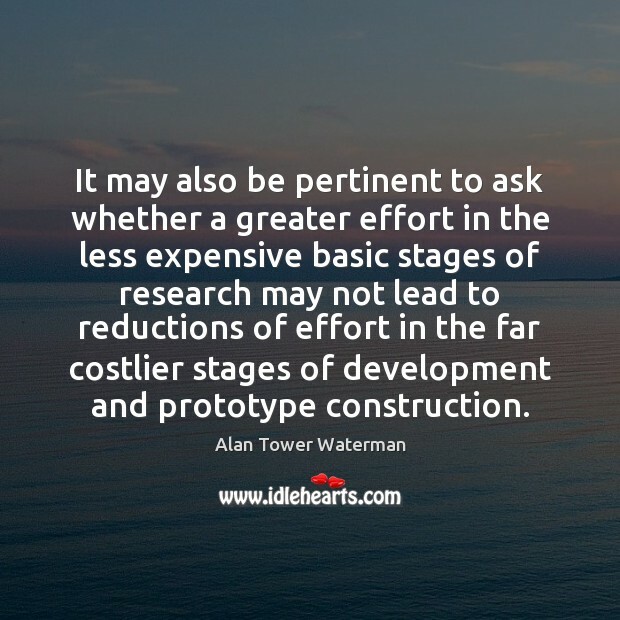 It may also be pertinent to ask whether a greater effort in the less expensive basic stages of research may not lead to reductions of effort in the far costlier stages of development and prototype construction.